Chicago is brutal. There’s that saying that the two nicest days of the year here are spring and fall. It’s true that the weather is varied and vicious but even after the ice has melted and the trees have bloomed there is still time to wait until true summer arrives. This year that fact has been very apparent. It was eighty degrees in April, but since then it hasn’t risen above fifty-two. To some people that may be acceptable, but I need summer and I want it now. The Rolling Stones wrote a song about this predicament, and in that song they offer the condolence that “you might just find, that you get what you need.” If I was a religious man, I would look to God, but instead, I’m a city boy, born in Chicago, so I look to my city. I looked and what I found was an Italian ice shop that had opened for the season. 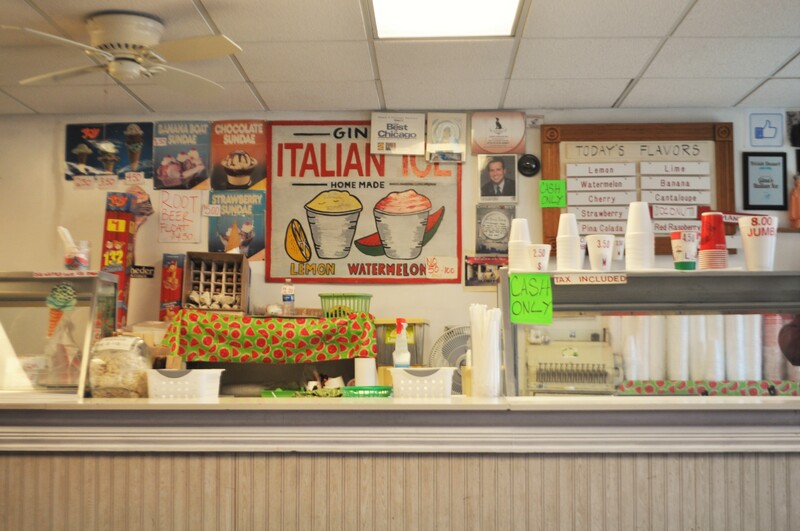 Gina’s Italian Ice to be exact and that season that they open for is summer. Now let me tell you about Gina’s real quick if you’re not familiar. Gina’s is owned by a woman name Gina. She’s been dishing out ice for thirty-nine years and it’s delicious. Everything’s made in house, the walls are covered in photographs of patrons and the seating’s mostly outside. Why Gina’s is special though isn’t because of the décor, it’s because of her and her son Patrick. Two real people, living in this city, just like you, dealing with whatever life throws at ’em. And in this day and age, where machines leave messages on your machine and cameras give you speeding tickets, to have a real person to talk with, being their real self, is just as refreshing as any ice you’ll get.